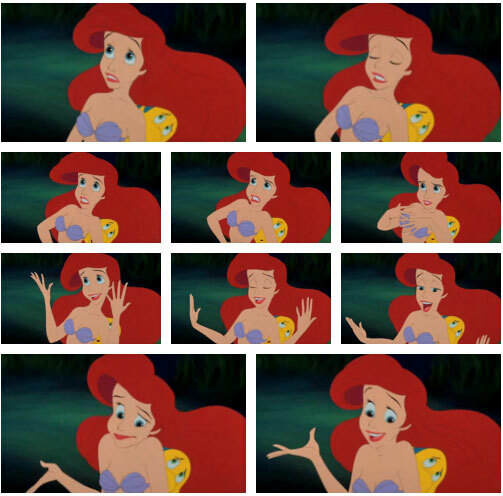 Ariel (and Flounder) from Disney’s The Little Mermaid. 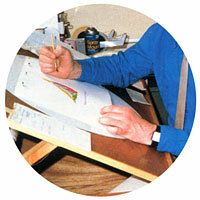 Frame by frame and sequential images from various animated films appear in an interesting blog has come to my attention. They are great for study and appreciation of the artwork. Each frame can be looked at individually, as well as in the context of the full shot. There are also animated gifs to supply a reference for timing. 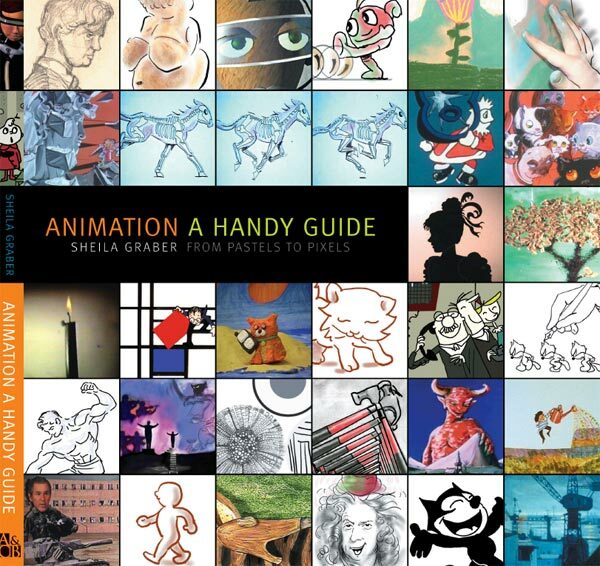 Sheila Graber sent me a copy of her latest book Animation A Handy Guide with a request to review it. The book came at an opportune time, as I was just off on holiday to warmer climes, to escape our cold winter weather. It made excellent holiday reading. 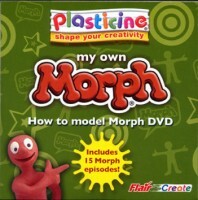 The book comes complete with a DVD. When I got home from holiday I popped this into my computer player and was amazed to find, not only the complete book reproduced page by page, but now the pages were interactive so that many of the examples in the book could be brought to life and the movies mentioned were there to view. More on this later. 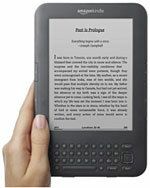 The Amazon Kindle is a software and hardware platform for displaying e-books and other digital media delivered by wi-fi download. It has free wireless delivery so you can start reading books in less than 60 seconds from ordering. The screen reads like real paper, with no glare, making it easy to read in bright sunlight as well as indoors. The screen is in black and white, which is great for reading novels but not so good for books that have coloured pictures in their printed format. However, you can download some free software from Amazon to view Kindle books on your PC or Mac in full colour. That way you have the best of both worlds, an easy portable version for when you are travelling and a colour reference when you are at your computer. 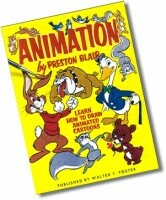 Here is our pick of animation books from the Kindle Store. 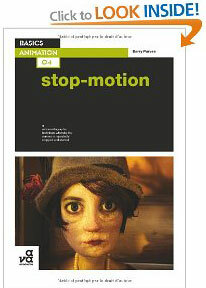 Oscar and BAFTA-nominated animation director Barry Purves has written a book that teaches the skills required to develop as a creative stop-motion animator or articulated puppet maker. 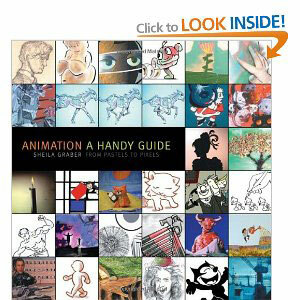 Basics Animation: Stop-motion explores how all the elements of film-making camera work, design, colour, lighting, editing, music and storytelling come together to create animation. The good news is that you are already an expert at many things. You have mastered at least one language and have learned to read. By following the technique of learning by doing, you will become an expert animator over time. 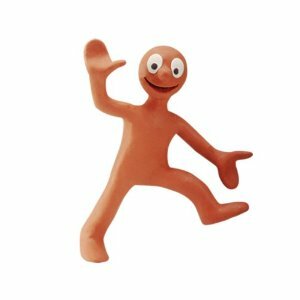 The best thing of all is that learning how to animate is great fun. The first time I run a new animation sequence that I have created, I feel like I have performed a magic trick. Maybe it needs a bit more work and polish but the satisfaction is immense. The 11 Second Club holds a monthly character animation competition in which animators from all over the world can participate. The challenge is to animate a character speaking a line of dialogue provided by the club.